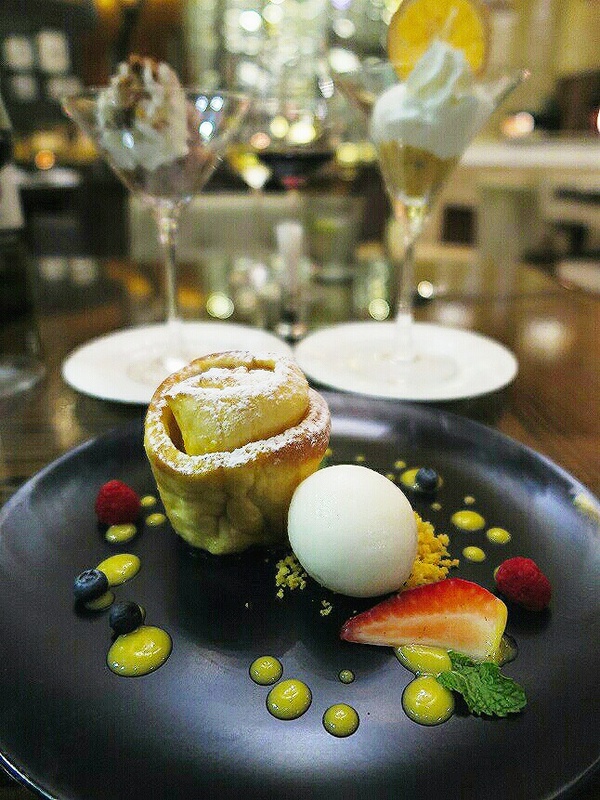 Known for its distinctly modern and contemporary concept, Jojo at The St. Regis Bangkok serves generous and unpretentious Italian food with a true taste of Italy. mylifestylenews writes. Let alone the already infamous Thai gastronomy in Bangkok, the City of Angel is such a melting pot with influences and inspiration from around the globe. We all can be easily spoiled by choices with traditional food to elevated cuisines for what this city has to offer and Italian food is to no stranger here especially for travelers who frequent the City of Angels as well as the local foodies alike. Situated at the ground level of The St. Regis Bangkok, Jojo is set in a modern and cozy ambience with high tables and with an intimate bar as well as a semi open kitchen which also features a built in pizza oven. Natural lighting floods in from the ceiling high glass windows, encompassed by a small little “secret garden” and contrasting the elegance of the interior. Wood crafted statues illuminate the already stylish atmosphere with a giant chandelier hanging in the middle of the main dining area as well as other white hanging lamps to give a touch of classic modernity. The dining area in Jojo is bigger than you may have thought, with a wooden glassed wall cabinet decorated with photo frames separating the main dining area with another section further in, equally elegant and visually compelling. Through the artistic use of sliding panels and ambient lighting, the restaurant creates a changing character and atmosphere during day and night. True to its Italian heritage, Jojo conjures up an authentic Italian cuisine with a creative and contemporary edge, while the food is in no fuss - simple and true to its sense and not complicated. The menu combines tradition with innovation, focusing on slow food and authentic ingredients, using seasonal produce from the finest producers. Through an updating of the gastronomic tradition and paying tribute to the Italian heritage, the menu offers a wide range of selection from most of the Italian classic must-haves. 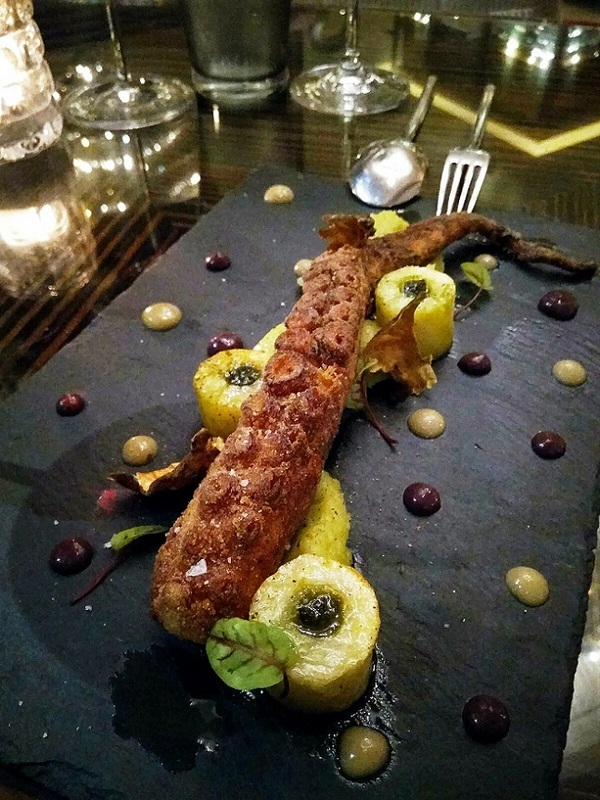 We started off from the Antipasti by placing our order with the <Polipo con Patate e Olive> A whole crispy octopus tentacle that was deep fried to golden brown for the crispy texture on the outside and to remain juicy inside served with potatoes, Jerusalem artichoke chips and accompanied by white vinegar and olives. A great start for our Italian gastronomy sojourn for the evening. 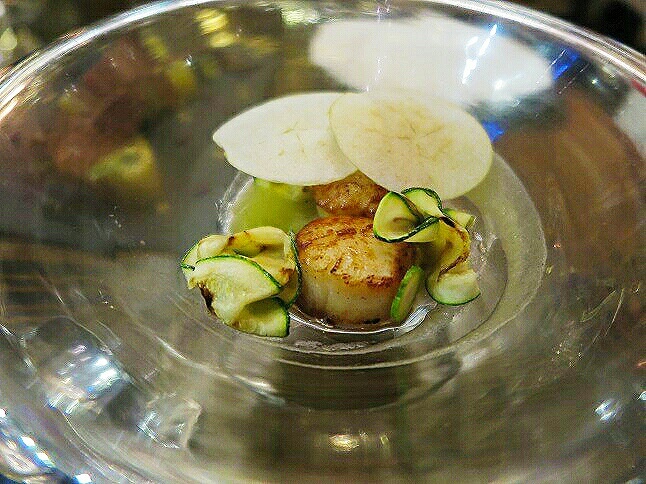 Two lightly pan seared Hokkaido scallops presented on a glass bowl and topped with both thin sliced green apple and smoked apple that gave a tangy flavor to the palette. A good balance in taste! 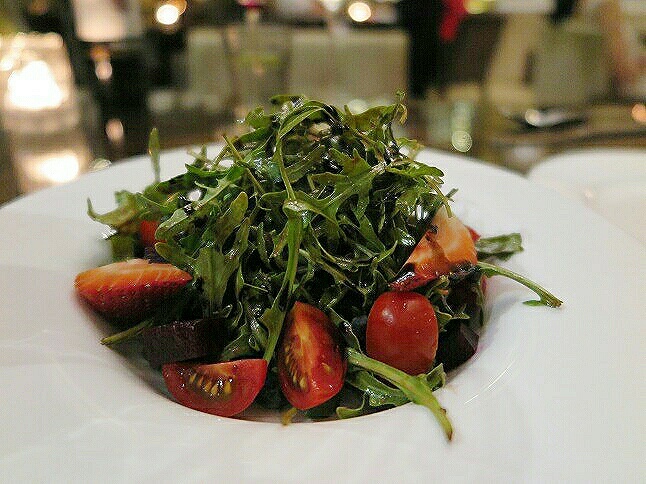 A side order of wild rocket salad made the best compliment to the coming meat dishes. Simply refreshing and a taste from the farm with red berries, beetroots, raspberry and tossed with balsamic vinegar dressing and extra virgin olive oil. Simplicity at its best! 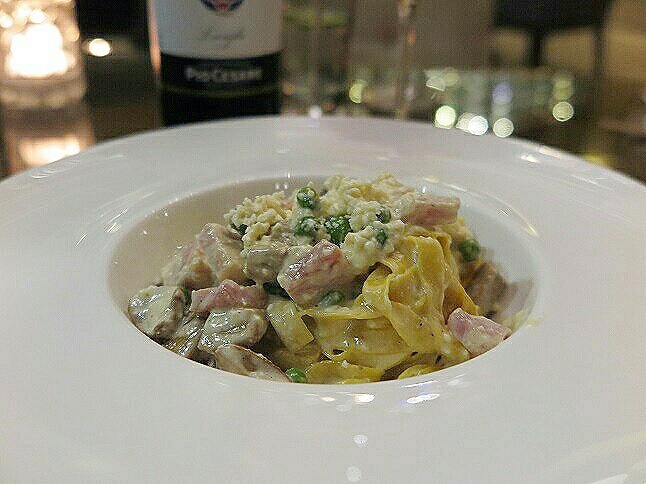 We felt like having a rich pasta dish by ordering the homemade tagliatelle with ham, mushroom, green peas served in Castelmagno cheese. The tossing of the tagliatelle was down by the table as a presentation allowing you to experience the rich and creaminess of the pasta which absorbed as much cheese as possible while it is still hot and steamy. For the secondi, we couldn’t help not ordering the roasted Italian suckling pig. 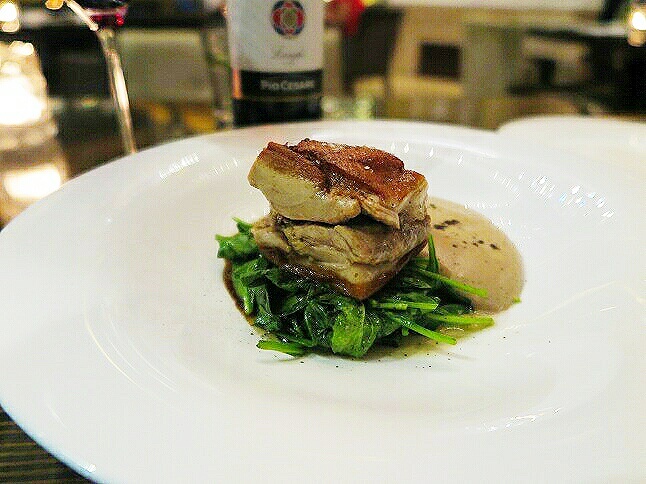 This succulent suckling pig was juicy and tender, with the skin top being roasted to the utmost crunchiness to delight your palette; topped with the aromatic chestnut foam and coffee powder to give an alternative palate that enhanced the meat. 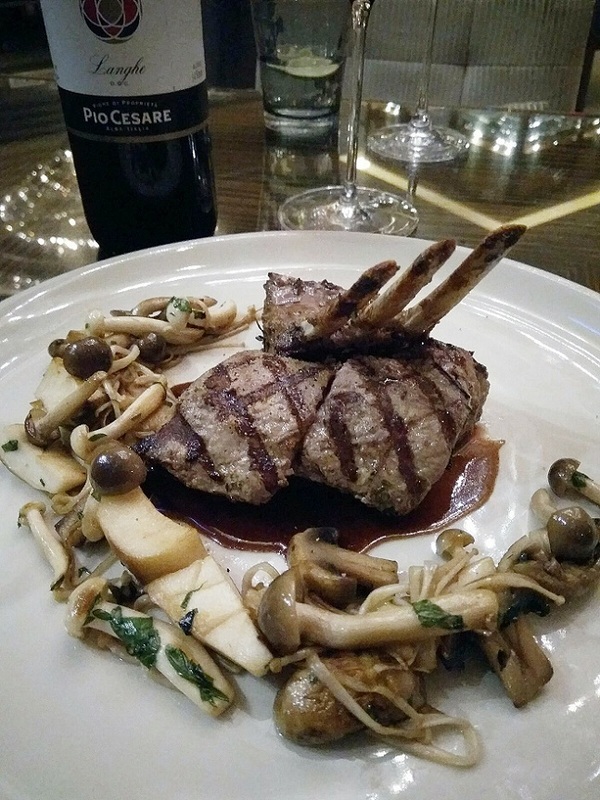 A bottle of Pio Cesare Langhe Oltre 2014 was recommended for its glorious nose with a beautiful flowery bouquet accented with earthy leathery notes and medium to long finish. Oltre is a blend of Nebbiolo and Barbera with a small part of Cabernet Sauvignon and Merlot. It is unquestionably a perfect choice for the suckling pig as well as two other meats to follow. Grilled squab pigeon was next brought to our table. 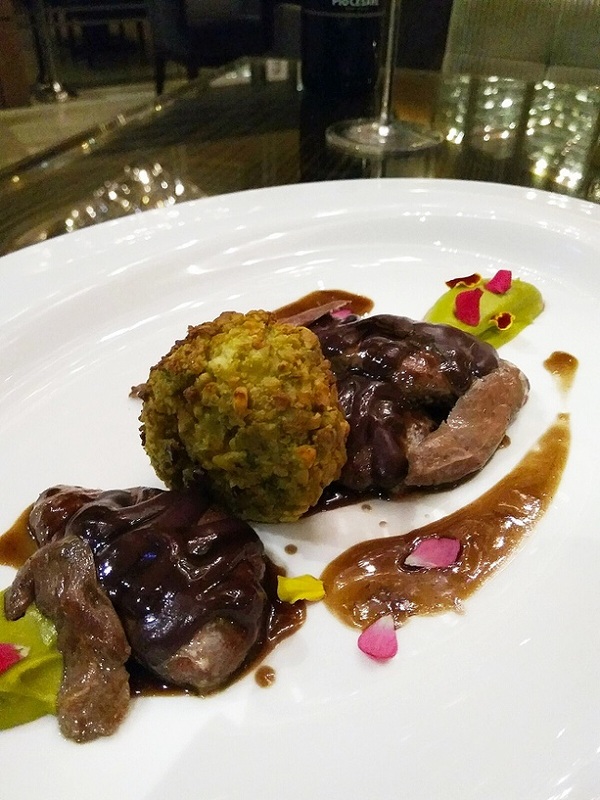 The gamy and fleshy pigeon is another triumphant dish in Jojo that was cleverly paired with black olives and pistachio puree. Not too rich yet finding the right balance for both meat and the accompanying sauces. It works! The last secondi to share was the Grilled Australian lamb chops served with a generous portion of mushroom and Dijon mustard. We loved the distinctive char grilled taste on this meaty lamb chop. Quite a big serving indeed! For dessert, we opted for the a-la-minute Brioche cake, curled up beautifully and topped with the powdery icing sugar with a round scoop of lemon sorbet and citrus sauce. The best way to enjoy this dessert is with a half spoon full of the lemon sorbet and mix it with the citrus sauce, then put them on the brioche and slice it down for a mouthful portion. It is “deliciosio”! 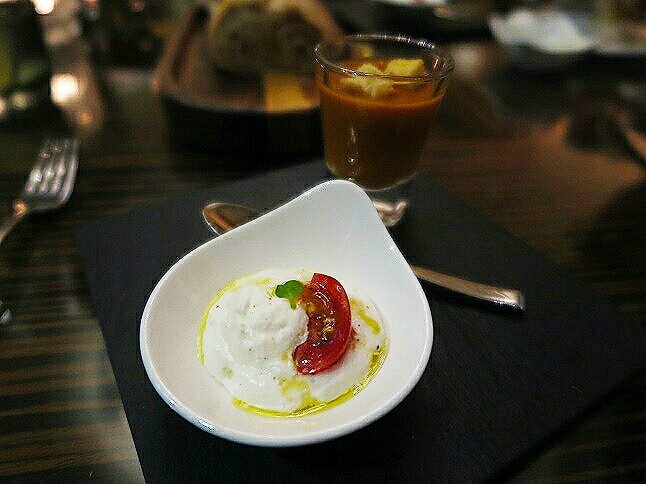 The warm and attentive service in Jojo is another plus, beckoning diners on a delightful culinary journey. Intriguing wines in the connoisseur’s wine cellar were thoughtfully composed. Italian food is meant to share, as it is part and parcel when food is served. For an intimate get-together or a romantic Italian affair with a true Italian taste that adds to the enhancement, you'll love dining in Jojo.